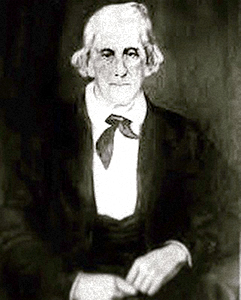 At the time of the Civil War, a physician named Dr. Charles Edwin Reese was running a flourishing practice in the town on Lowndesboro outside of Montgomery. People on the town caught word that General Wilson would be leading his troops straight through town on the way to Montgomery. Afraid of the destruction war leaves in its wake, and Selma having fallen to similar mistreatment, Dr. Reese devised a way to protect his town. A man had come into his office with a nasty rash, and Dr. Reese took that sick man to the outskirts of town to meet General Wilson and his men. Dr. Reese explained that Lowndesboro was momentarily plagued by Small Pox, and if the general was concerned about his troops' health, it would be best to just go around town, and not bother coming into town for any reason. General Wilson took Dr. Reese's advice, the man's short lived rash healed, and Lowndesboro stood another day. Hubert Mooney knew that swamp from Bibb County all the way to the Cahaba River. His family was devastated when, in 1896, Hubert walked into those woods, and never came out again. From that day, the swamp would become known as Ruination Swamp. Many speculated as to how a man that grew up in and traveled that swamp almost daily could get lost in its density, and no one heard of him again, until the night the Ragland children found themselves lost in that same swamp, with sundown approaching too quickly. 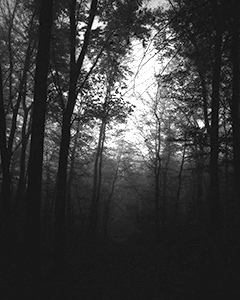 The children lived nearby and played among the murky trees quite often. This day, the just lost track of time. The seven children held on to the plow lines they brought with them so that none of them would get separated from the group, seeing as they could barely make out their own hand in front of their face. A white light shown straight ahead, and the eldest brother, leading the pack, figured it must be their father coming in search for them. He found their trail home following the white lantern signal straight out of the swamp, but when he pulled the rest of his siblings from out of the woods, the light disappeared. They ran as fast as they could to catch up with their father, but when they made it through the kitchen's screen door, dad exclaimed, "Ten more minutes and I was coming to find you kids!" The steamboat named Eliza Battle burst into flames while traveling the Tombigbee in 1858. The hellacious scene of the burning steamer was devastating for those present at the time of the event, and is rumored to still be seen as a warning to those that wish to travel that same route. As with most fires around the mid 1800’s, cotton bales engulfed in flames on board this side paddle luxury steamer and the wooden ship burned quickly, never making it back to port in Mobile. Nowadays, “The Phantom Steamboat of the Tombigbee,” as written in 13 Ghosts by Kathryn Tucker Windham, when the fiery mist of the Eliza Battle is seen floating down river, locals and river men say it is a very serious omen, and become incredibly cautious, or even cease travel, to avoid disaster and heed its warning. 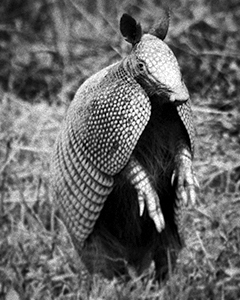 Armadillos have been around for over 150 million years, but the first recorded appearance of them in Alabama wasn't until the 1940's. It is suspected they ended up here due to a transport mishap from Texas to Florida. These mammals are the only animals in the works that create exact clones of themselves. It's science fiction gold. The egg splits into two, and those eggs split, creating four exact replicas of the same egg. These babies are ready to be birthed after three months' incubation, but if conditions aren't fit for delivery (cold weather, lack of food and resources), the mother can hold delay birth for up to three years. When the clone babies are finally born, their eyes are open and can walk within the hour. Also, armadillos are found as frequent roadkill due to their reaction when startled. They tend to jump vertically, up to four feet, when startled, projecting them into the underside of your car. The Bell Rose Tattoo namesake was also used by the D'Olive (pronounced Dough-leave) family, and if you wander upon their founder cemetery hidden among the trails near Jackson Oak, it will give you chills. Get out on this beautiful day and explore your home. The Hurricane of 1916 was devastating to the Eastern Shore. The Pleasure Bay gave locals and tourists excursions and adventures between the docks of Fort Morgan, Blakeley, and Palmetto Beach. 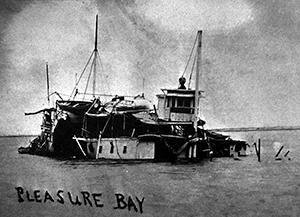 After being thrashed about in Mobile Bay during this disastrous storm, the Pleasure Bay was salvaged from this state of wreckage, and continued its joyous tours once more, only to be destroyed by a careless fire in the middle of Lake Pontchartrain.